We are a generation of conscious consumers. Now more than ever, millennials are becoming more aware around what we’re putting in our bodies. Every corner seems to boast some form of raw café, wholefood supermarket, or organic grocer. But, are we extending this same holistic mantra to our haircare regimen? The dedicated may be, but for others, the high price point and lack of availability puts a halt to any form of haircare switchover, despite our best intentions. Enter a sustainable, renewable haircare range that doesn’t cost the earth. The latest innovation in hair fuses everything you love about all-natural beauty products, but boasts a more affordable price point and can be added to your cart during your weekly shop. Dedicated to crafting luxurious hair care infused with botanical ingredients, L’Oréal have scoured the globe to uncover powerful, natural ingredients with proven results on hair in their new Botanicals Fresh Care collection. This passion project was certainly not your average haircare product development. L’Oréal’s mission extended to the four corners of the earth, where, at every step of the development, each maker, farmer, botanist and chemist put their passion and expertise towards creating formulas utilizing some of the finest botanicals the world has to offer. Be inspired by nature’s bounty and indulge your hair with precious flower and oil blends – geranium leaves from Egypt, safflower from Crete, coriander seed oil from Bulgaria, and camelina flowers from France. Fusing nature, science, and beautifully healthy hair together, the result is an all-natural haircare range boasting high-performance formulas, and a commitment to sustainably sourced materials. Every formula is free of silicone, parabens and colourants, providing only the good stuff to your locks. Wait… So, if there’s no silicone in these formulations then how can we expect to achieve the glossy locks we so desire? We tapped L’Oréal Senior Brand Manager Daina Wilson to find out. ‘To replace silicone, we developed a unique botanical complex with an ultra-caring blend of soy and coconut oils, both renewable, to be able to create nourished, light and soft hair,’ Daina says. Better still the shampoo and treatment bottles they come in are 100% recycled plastic and 100% recyclable. Good for your hair and for the environment? Yes please. ‘L’Oréal has a strong legacy in sustainability. In recent years, the company has integrated principles of sustainable development into its business model and set new benchmarks for sustainability, to be achieved by 2020,’ Daina explains. The team at L’Oréal searched the globe to uncover four premium ingredients designed to restore your locks to their beautiful best, all so you didn’t have to. The Botanicals Fresh Care range of shampoos, conditioners and treatments centre around four hero ingredients – geranium, safflower, coriander and camelina oil. Here, meet these hair saviours and find out why you should introduce them into your haircare regimen, stat. What is it? Originally grown in the French region of Vendée, Camelina is a herbaceous plant harvested once a year. Why it works: Chock-full of exceptionally high levels of Omega-3 and Omega-6 fatty acids, Camelina is a protein-rich botanical source. The biodegradable oil extracted from camelina seeds are rich in antioxidants, protecting the hair shaft from any free radical damage. It offers a creamy texture to discipline and smooth every hair fibre. The appearance of frizz will be dramatically reduced. Added bonus: it smells super luxe, too! L’Oréal Botanicals Fresh Care Camelina Smooth Ritual is available in a Shampoo, Conditioner and Treatment, and RRP’s for $17.99 each. What is it? A vibrant-hued flower. 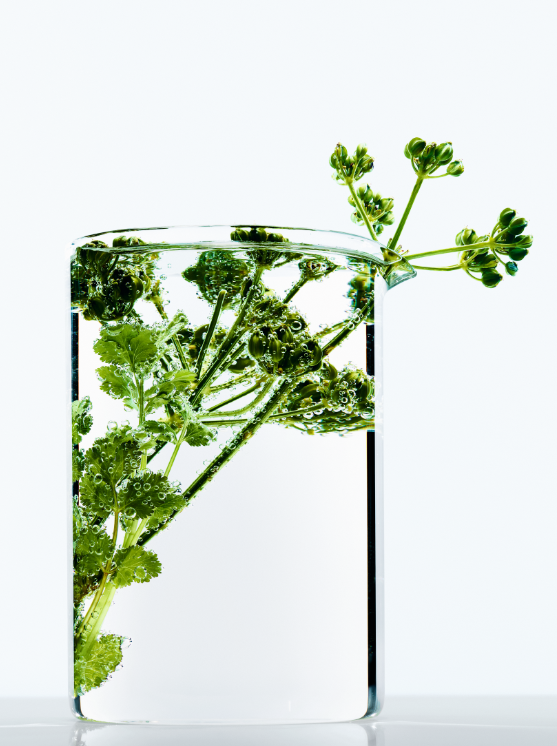 It takes more than 16-hours for the renewable essential oil to be extracted and distilled from the geranium bud. 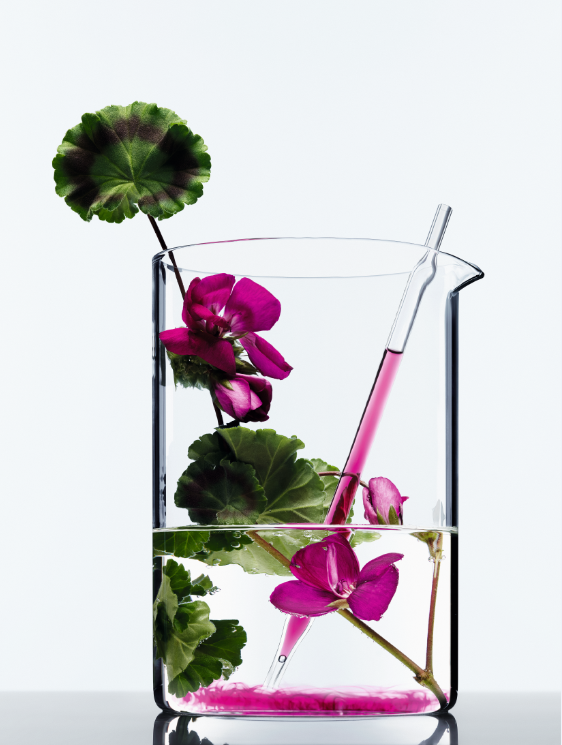 Why it works: Geranium oil has strong antioxidant properties to gently revive vibrancy and shine to the hair follicle. Give your dull or coloured hair an A-List experience, by employing this hardworking botanical to restore the hair shaft to its beautiful best. L’Oréal Botanicals Fresh Care Geranium Radiance Remedy is available in a Shampoo, Conditioner and Treatment, and RRP’s for $17.99 each. What is it? One of the world’s most powerful botanicals, coriander has been used for centuries in traditional herbal fusions for its revitalising power. Why it works: This 100% biodegradable, renewable extract is rich in Omega-6, iron, Vitamin C and magnesium. Coriander’s precious extracts have been infused in featherweight textures to fortify and reinforce brittle hair, all while strengthening strands with every use. Bye bye hair breakage! Not to mention the crisp aromatic notes awaken the senses. What is it? A sweet orange flower, prized by the Ancient Egyptians as a nourishing ointment. Why it works: Gently pressed to create safflower oil, this powerful biodegradable and renewable botanical is rich in lipids. Treat your tresses to an extra-nourishing hit of moisturisation, leaving them feeling softer from root to tip. This formulation restores natural lipids in the hair fibre, all while an exquisite oriental scent delights your senses. L’Oréal Botanicals Fresh Care Safflower Rich Infusion is available in a Shampoo, Conditioner and Treatment, and RRP’s for $17.99 each. So, whether you suffer from dry or fragile hair, need to keep your colour intact or combat frizz, there’s a Botanicals Fresh Care product to #findyourbetternature.